Reenita Malhotra Hora has again proved through her words that she is awesome in whatever she does. Be it journalism or be it any kind of fictional writing. Operation Mom has been another milestone in her life. Given the amount of readers who are used to reading chick-lit, Reenita has done a wonderful job in targeting them and winner their love with this perky story. Not exactly a love story but a very sweet mom-daughter story, much of today’s time gives this book its much needed charm. The back cover says: Published by Harper Collins India, Operation Mom - How I got my mother a life and a man is the story of a Mumbai young adult who embarks on a mission to get her single mother dating again. Ila's life takes an exciting turn when she decides to hunt for the perfect partner for her mother. With a little help from Deepali, Aunty Maleeka and Dev of the inviting chocolate-pool eyes, she'll have to brave it all - from Lagaan.com and Ok-cupid profiles to handlebar-moustache colonels and middle-aged psychos, if she wants to succeed in her quest! 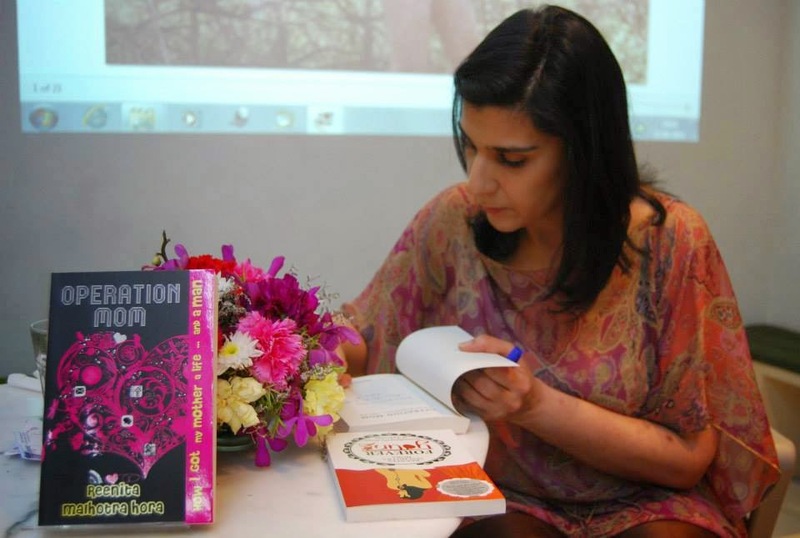 After writing about Forever Young, Ayurveda the authoress has taken a nice leap with a jump of genre to Operation Mom which has made this book a really nice and quirky read. The story of a seventeen year old daughter Ila and her single mother has been put in a very unique way which will keep the readers bound to the book for a very long time. Along with the punky cover, the subtitle of the book also gives this book a wonder charm. ‘How I got my mother a life… and a man’, the subtitle gives the book a magnetic effect which makes it an instant grab of the teenage girls. Not only for girls, for their mothers also can this book do nice. Cause in a way, I felt that the book can help mothers of the ‘now’ era to know more about how the thought process of their children go and how far can they think which might help the mothers to know their children more closely. Written in a very ‘cute’ way this book is an instant connect with the readers of all thought process. And to congratulate the authoress for having put her journalistic field of mind for working out this piece of fiction. To tell all, I would like to say that this book is a must read for all mothers and daughters alike to know both their psychologies well.